Call us today at 610-691-5800 ! Dr. Matt Suter, a Bethlehem chiropractor, is committed to bringing you better health and a better way of life by teaching and practicing the true principles of chiropractic wellness care. He has been helping the residents of Bethlehem (18017, 18018, 18020, 18015), Easton (18045, 18042), Allentown (18109, 18104), Bath (18014), Hellertown (18055), Northampton (18067) and Whitehall (18052) rediscover a life without pain for over 15 years. 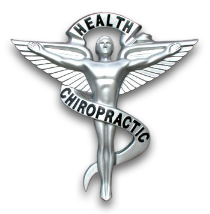 Located at 1770 Stefko Boulevard in Bethlehem, the leading health professionals at Azzatori Chiropractic are dedicated to helping you achieve your wellness objectives -- combining skill and expertise that spans the entire chiropractic wellness spectrum. Patients in the Bethlehem, PA area seeking treatment at Azzatori Chiropractic with Dr. Matt are assured of receiving only the finest quality of care through the use of modern chiropractic equipment and technology. Dr. Matt and the staff have a genuine concern for your well-being! That is why our motto has always been, "Get back to doing what you love!" To receive free wellness and health articles subscribe to our monthly newsletter. If you are already a newsletter subscriber, please explore the member wellness section of our website for animated exercise videos, wellness articles, chiropractic resources, and health facts specifically targeted to your wellness needs and interests by Dr. Matthew Suter.